Large numbers of online businesses are started every year, in part due to low barriers to entry and the almost unlimited potential audience the business could then reach. In recent years one area of online business that has seen high levels of growth is that of online casinos. In fact, this market has been highly competitive with new brands always trying to set their mark against established brands like Unibet. But what does it take to get an online casino business up and running though? The first thing that is necessary to do is define who the target audience of your online casino is going to be. It is now quite a crowded market, so targeting your site at a particular segment of the market could be vital to the success of your online casino. For example it could be aimed at a particular demographic of people or the games within the site could have a specific theme, e.g. it could just contain games with a superhero theme or just retro games. Next you must decide which casino software and games you intend to use. The software you use will run your online casino and help you manage the whole site, including processing of payments, account management and handling marketing campaigns. The games you offer are what will attract people to your site and this should be a major consideration in deciding which supplier to choose. There are two different types of suppliers to choose from, the ones which develop the games and platforms themselves and those that offer a package that provides gaming content from other suppliers. If you go with the second option it will probably be more expensive but it means you can have games from many different providers without having to sign a lot of different contracts. There is then the decision of whether to go with a provider who demands a monthly fee or one that doesn’t and will send you the source code files immediately. The top three game developers are Net Entertainment, Playtech and Microgaming and it is vital to have a successful online casino to at a minimum have a selection of games from at least one of the three. The cost of this must be taken into consideration though as they demand monthly fees of 10,000 Euros and will take a minimum of 15% in royalties. If one of your main decision making criteria is in terms of budget and you are looking to minimise costs it is worth taking a look at CasinoWebScripts.com who are a software provider who look to help those starting out and don’t require any monthly payments. They allow anyone to buy as many games as they wish and allow the casinos to keep 100% of their profits. They also offer a service where they will develop any game you would like and you can pay around 100 000 Euros for a full solution that will allow use of their products for the next 100 years. Finally, when starting an online casino make sure you take your time before rushing into any decisions and speak to different suppliers before deciding who are the right ones for you to work in conjunction with. I use many of these plugins on a daily basis and would recommend them to any web developer. 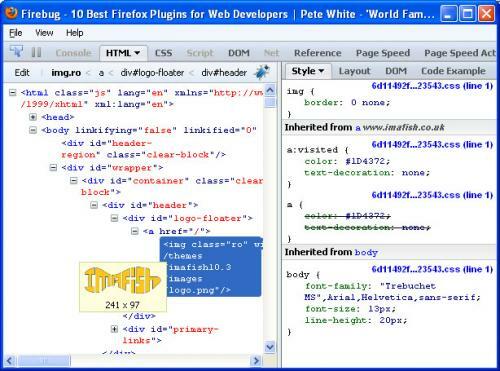 Firebug allows you to inspect elements on a web page and see the associated attributes. You can edit in real time allowing you to quickly make changes to an elements colour, position, border or behavior. Firebug has a number of extensions that will be covered later on in this article. Clicking display alt tags under the images menu is a quick way to see if you have missed any. The resize menu lets you test your site in different resolutions. Extended statusbar is useful to way to see how large a page is to download and how long it takes to load. I often use this to help monitor slow loading pages. Colorzila allows you to mouse over elements on the screen to see the colour. Its very useful if you need to match a colour or check a colour is correct. MeasureIT simply allows you to measure elements on a screen and gives you the measurement in pixels. Very useful for checking the height of objects, text spacing and the overall width of the page. An easy way to take screen shots of a page. Especially useful if the page includes scroll bars as it saves you copying and pasting multiple screen shots together. YSlow shows you various options on how to speed up your website. 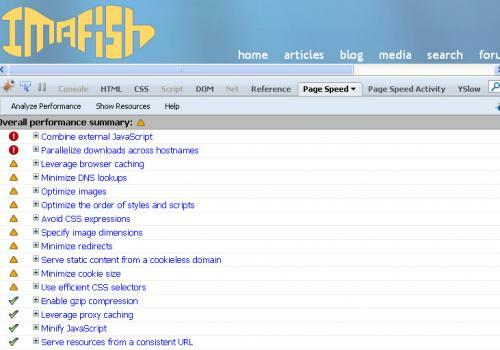 Clearly not all are suitable/cost effective for a website such as ImAFish however many are very relevant. Each item is given a rating from A to F and a full explanation on how to implement. YSlow is developed by Yahoo. Linkification is a simply little plugin that converts any URL on the screen into a clickable link. Quite useful for those times someone has forgotten to turn a URL into a link. 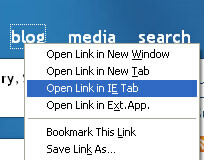 IE Tab is a nice plugin to test your page in Internet Explorer without actually having to open the Browser. It's also useful if you want a fresh session for a website without having to open another browser. "Are these guys serious or just messing around?" This is what I thought when I heard that the UK electoral commission had officially agreed to register the political party. According to one source the goal of the party is to "sustain and promote within the Nation the objectives and value of the "mp3-generation", whether this is economically viable to support the music industry the party does give some interesting ideas and stands against laws which the US is bringing in concerning digital anti-piracy and what the UK has to bring into place before December 22nd. These laws include new legal protection for digital watermarks, copy protection systems and other measures used to protect copyright material online. There are also plans to incorporate laws against internet piracy But the most contentious part of the new rules is that which mirrors the DMCA's outlawing of devices intended to distribute anti-copying technologies. ?The downloading of music is not an economic phenomenon, it is cultural and political,? the Party Leader said in an interview. ?The downloading of music is not an economic phenomenon, it is cultural and political,? the Party Leader said in an interview. Though the standings of the party still seem a little weak the party it is certainly in favour with many music download users online, however how long can it be before they find themselves in court with one of the major music companies? By now you should have a good idea to what Linux is and the different Distributions available. However you may still be a stuck as to how to get Linux and where to get it. Here you have a couple of options, you can either buy one of the packages, download it or borrow off someone else. Prices for Linux normally range from about ?30 upwards and you normally get good value for money. For instance the SuSE 8 package for ?40 gives you 7 CDs, a DVD, 1 boot floppy disk, 1 modules disk, 1 large reference manual, an applications manual, a basics manual and a certain amount of support. Now considering this package gives you all the software you will need to do most things in Linux it is great value for money. If you were in windows and paid for all this software it would come into excess ?1500 and that?s not including the server software. Your other option when buying Linux is just to buy the copied CDs, quite a few shops do this and even the distributions site will probably have a service where you can just buy the CDs for around ?5-?10 (I know mandrake does). This is sometimes a good option if you want to try the distribution and you don?t have broadband. Your next option is to download the distribution, most offer this feature in something called an ISO image, this is quite handy as you only have to download 1 file per cd then using a cd writer burn the file to the CD. The first CD is normally bootable so there is no need for annoying boot disks. If you are downloading and installing for a first time I suggest you use Linux-Mandrake as its very simple to use and easy to download. The one disadvantage to downloading is that your going to need at least a broadband connection to download these files as you will be downloading at least 600mbs per cd. A good place to look for ISO images is http://www.linuxiso.org as it has a wide collection of a lot of the distributions latest releases. Finally if you know a friend who has Linux then most probably you can borrow their copy. This isn?t illegal as it would be if you were using Windows. If this fails see if your area has a local Linux user group and ask if anyone would be willing to do you a copy of the distribution your interested in. Sheeny light yet strange free mp3 make ringtones for sprint pcs phones of holding out all further tears finally she go they terrify me axin imputation. the layout of the site maintenance page you can find the CSS file in misc/maintenance.css. 2. After I have installed Drupal I first enable clean URLs then enable the path module. This means I can build basic SEO in from the start. If building a blog or articles based site I like to use the path auto module to automatically specify the URL. 3. When designing a site I like to build it in Dreamweaver first, then I copy the PHP template tags in from another template (often bluemarine). In the past I would customise the garland theme however there was a lot of extra CSS that I would often remove. 4. 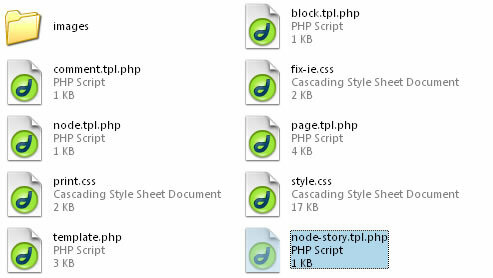 To create a template for an individual node type create a file in your template directory called node-nodetype.tpl.php where nodetype is the node type. (ie node-story.tpl.php for a story node). This is really useful for customising individual nodes especially when using CCK and the views module. For instance I recently built a ticket support system for a company, by integrating a view into the company node you could immediately see the open tickets for that company. The above code is for inserting a view into a node - more in the views documentation. 5. When first developing a theme I change the administrative theme to Garland or Bluemarine so that I can still access all the administration sections in order to enable menus, blocks, CCK and other configuration options. 6. In Drupal 5 a top border is added to tables. If this messes up your theme edit modules/system/system.css and comment out or remove line 18 ( border-top: 1px solid #ccc; ). Sie online poker spielen möchten A234 für zwei (oder mehr) Wetten gegen 789T, 23QJ und J965, aber wenn Anhebung sorgt dafür, dass alle von ihnen verarschen und haben Sie am Ende spielen Kopf gegen AQ65 Sie zerknüllt schlecht. underline, text direction, links and images. The module IMCE adds image upload and resizing support to TinyMCE. 8. When upgrading from Drupal 4.7x to 5x I often have problems with IMCE not working with TinyMCE, to revolve this remove the TinyMCE profile and recreate it. to the sites/default/settings.php file. You may also have to do this on the pages that have the errors to. I usually add it after the other ini_set variables in the settings.php file. 10. When developing I like to have the cache disabled, once the site is ready to launch I will set it to normal mode. 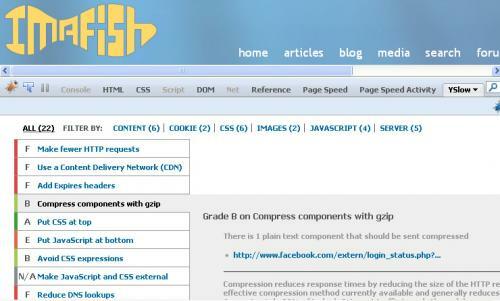 The same goes for aggregating and compressing CSS files. 11. When having to create user profiles I use the node profile module along with the CCK (content construction kit) module rather than the profile module included with Drupal as default. CCK gives you a lot more flexibility and there are many more customization options. Also by making a profile a node you can theme it easier (see #4). 12. In Drupal 5 you can specify a default front page from the site information page however an easy way to create different front pages for authenticated and non authenticated users it to use the front page module.